Our 2018 event will take place in the state-of-the-art conferencing facilities at AstraZeneca, Macclesfield. The North West is an important hub for AstraZeneca – a centre of innovation, science and high-tech manufacturing. It’s a place where creative, talented and committed people can make their mark. It’s a place where molecules are turned into medicines. With more than 4,000 employees, the largest medicines manufacturing facility in the UK and over 800 people who develop new medicines, AstraZeneca is a powerhouse in a region whose people change lives for the better. Our campus at Macclesfield is home to AstraZeneca’s largest Pharmaceutical Technology and Development (PTD) team – it is these people who help transform new discoveries made at our research facilities into medicines that can be manufactured and given to patients. Without Pharmaceutical Development, there’d be new molecules, but no new medicines. These development scientists work closely alongside colleagues who are exceptionally experienced in manufacturing complex medicines. Having these teams working closely together allows AstraZeneca to develop new medicines safely and quickly, ensuring patients can receive innovative new treatments in the fastest time possible. Macclesfield is also home to our second largest IT hub, providing critical systems that support delivery of our life-changing medicines. 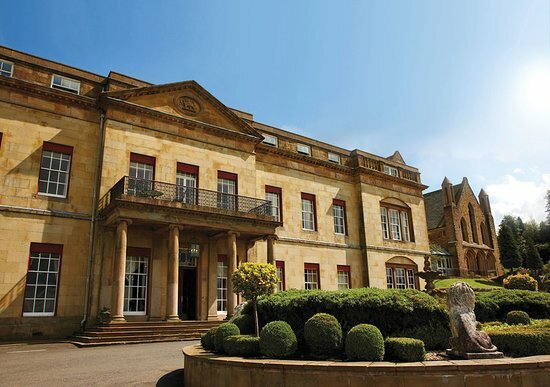 The conference dinner will take place on Monday 29th October at the Shrigley Hall Hotel. A discounted room rate will be available for delgates on that night.